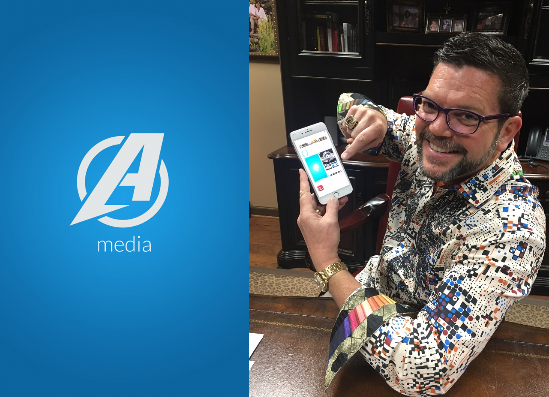 BURLINGTON, N.C. – National Agents Alliance, aka The Alliance, has released a mobile application named Alliance Media across multiple mobile app stores, company president and CEO Andy Albright announced today. The Alliance Media app serves as a “one-stop shop” for users who want the latest media content from The Alliance in an easy-to-consume format that is available 24/7 via any mobile device. The goal of the app was to provide users an experience where they have access to all content produced by The Alliance at their fingertips. This app is loaded with everything users need to have access to watch The Wednesday Call or listen to all of our podcasts – The Wednesday Call, The Alliance Activity Call, MOVE and the Product Podcast – any time they desire via their preferred mobile device. Additionally, users can view pictures taken by AMP Studios, The Alliance’s media team, from events and trips. Alliance Media also offers you a calendar of upcoming calls, shows and events. Another feature is “real time” notifications in case of simply forgetting an important call or meeting. Other company-produced videos and Albright’s personal blog can also be easily accessed on the app. The Alliance Media app is free to download in the Apple App Store, Google Play and the Android market across the United States. Albright said the app will become more robust in coming weeks as more updates are made in an effort to improve an already fully functional app. This will not be the only app released this year by The Alliance, according to Albright. The Alliance is an insurance marketing organization that recruits life insurance agents across the United States. With approximately 150 employees at the home office in Burlington, N.C., it provides a proven sales system, state-of-the-art lead program, acts as a liaison to partner carriers and provides assistance needed for agents to receive the training needed for success. It currently has agents in all 50 states and is dedicated to putting clients first. It partners with more than a dozen highly rated insurance carriers such as Mutual of Omaha, Foresters and CFG, and provides products for our agents that are in high demand. The Alliance offers in-house, cutting-edge marketing efforts that reach untapped markets. As an independent agency organization, it can provide agents with great products to offer clients meeting a variety of needs and budgets.